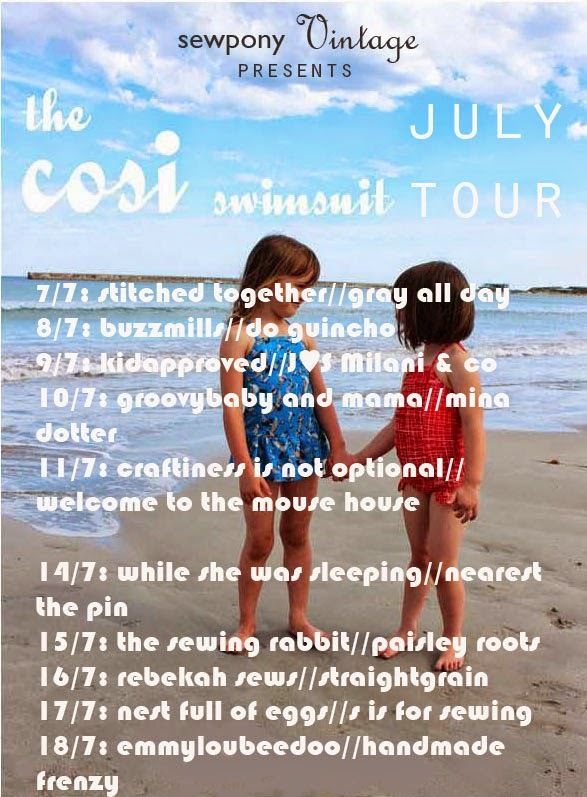 Today's two guests on my cosi swimsuit pattern tour are both super talented and prolific sewers - Jess from Craftiness is not optional and Hayley from Welcome to the mouse house. Jess from Craftiness is not optional is an all round amazingingly crafty girl. 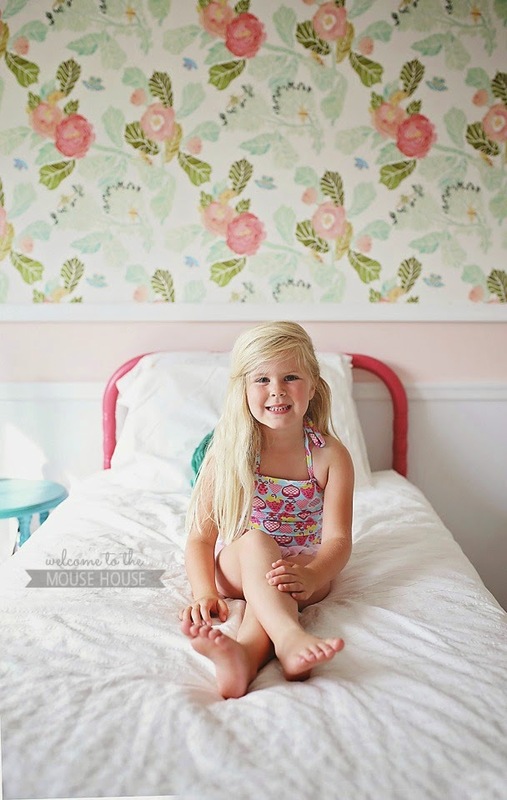 She sews for her three little daughters, herself, renovates dollhouses, hosts ridiculously awesome parties, shares tutorials and makes patterns. I don't know how she does it! 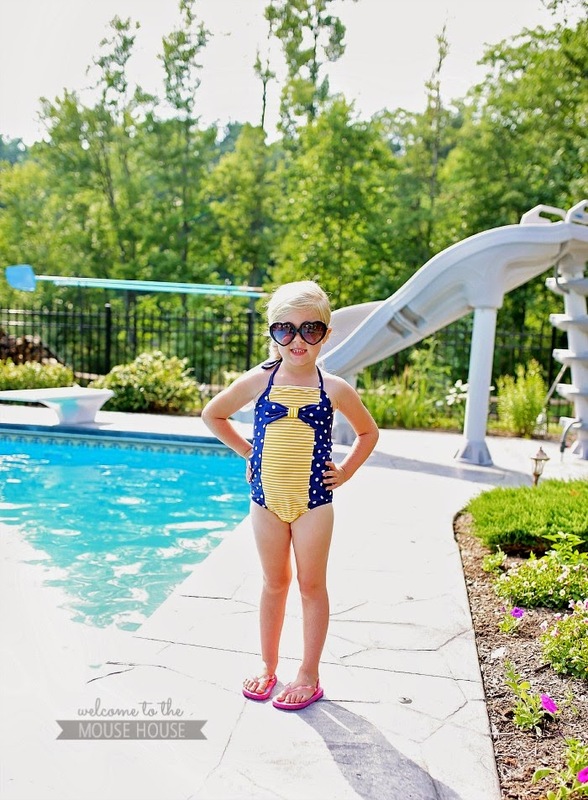 Today she is sharing three cosis she made for her daughters Sadie, Charlotte and little Ava. So cute!!! Head over to CINO to see more!! Hayley from Welcome to the mouse house started creating PDF sewing patterns under her brand - Mouse house creations, late last year and they have already been hugely popular. I have made her Norah dress - so cute! And also her Julia cardigan. You can see these patterns and more in Hayley's pattern shop here. Hayley also contributes to Willow and Co - she designed the sweet clover shorts and persimmon dress. I have gotten to know Hayley better over the past six months and she is so friendly and positive. I really love her work! For my cosi tour, Hayley made two suits for her sweet daughter Ainsley...Head over to Welcome to the mouse house to see more! Thank you so much Jess and Hayley. Your suits are so sweet!! Please come back next week for more cosi goodness! oh my!! too much cutenes!! !